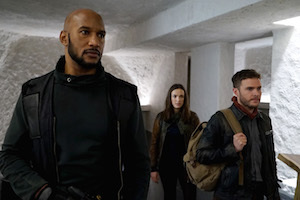 The Pop Culture Podcast by Phantastic Geek: Agents of SHIELD: 510 "Past Life"
The Zephyr One is headed back to the Lighthouse for a mid-season matchup pitting our Agents of SHIELD against Kasius and his Kree thugs. But where do Flint and Tess figure in? Matt and Pete look back on episode 510, “Past Life."